Sir Michael (until 2016 Mr Justice Burton) was called to the Bar in 1970, became a QC in 1984, and was appointed a High Court Judge in 1998. Prior to his appointment, he had a busy commercial practice in the Queen’s Bench and Chancery Divisions, Commercial Court and Employment Courts, in a wide variety of fields of Law, as Counsel not only in the UK and Luxembourg, but also in Hong Kong, Singapore, Bermuda, Brunei and the United States. He was Head of Littleton Chambers from 1991 to 1998. As a High Court Judge of the Queen’s Bench Division for 18 years, he sat also in the Chancery Division and the Employment Appeal Tribunal, of which he was President from 2002 to 2005, and from 2006 regularly in the Commercial Court. Both before and since his judicial role he has been an arbitrator and mediator. He is General Editor of Civil Appeals (Sweet & Maxwell 2nd Edition). In 2010 to 2011 he was Chairman of the High Court Judges Association. He was Treasurer of Gray’s Inn in 2012 and is a Bencher. He was Chairman of the Central Arbitration Committee (CAC) from April 2000 to November 2017 and was President of the Investigatory Powers Tribunal until September 2018 (Vice-President 2000 to 2013). He was appointed a part-time judge of the Abu Dhabi Commercial Court in 2016. Since November 2016, he has returned to Littleton Chambers to practise as an arbitrator and mediator, and is a Fellow of the Institute of Chartered Arbitrators. He was appointed from 3 September 2017 as Chairman of the Conduct and Disciplinary Tribunal of the Royal Institution of Chartered Surveyors. He is a member of the United Nations Arbitration Panel for resolving disputes with its employees. Dr Anderson is an internationally recognized arbitrator, arbitration counsel, and trial lawyer. He also is a Fellow of the Australian Centre for International Commercial Arbitration and a member of the Centre’s Council. 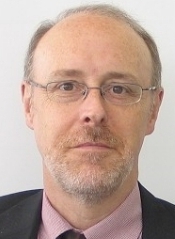 Dr Anderson is an International Accredited Professional Mediator with the Mainland-Hong Kong Joint Mediation Center (MHKJMC) and an international mediator with the Japan International Mediation Center-Kyoto (JIMC-Kyoto). His arbitration experience includes proceedings conducted under the auspices of the AAA, LCIA, SCC, ICC, as well as ad hoc arbitrations. Since 2015 he has represented FICA at sessions of UNCITRAL Working Groups II and III. He is a door tenant with Littleton Chambers in London and has offices also in the US. Mr Eschlböck has been with FICA since 2013. 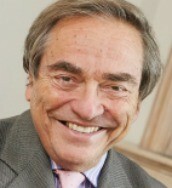 His Vienna-based firm specialises in international dispute resolution, as well as civil and criminal litigation. He is also a member of the Ethics Council of the Vienna Bar. His track record includes various appointments as an arbitrator and as party counsel in the fields of insurance, banking and M&A arbitration. In addition to being a Fellow of the Chartered Institute of Arbitrators, Mr Eschlböck is a member of the Dispute Board Federation in Geneva and is qualified as a financial analyst in Vienna. He speaks German, English and French. Dr Lemay served for eight years as Principal Legal Officer and Head of the Legislative Branch of the International Trade Law Division / Office of Legal Affairs, the Secretariat of UNCITRAL based in Vienna. Before joining UNCITRAL in July 2009, he was Chief of the Governance, Human Security and Rule of Law Section of the United Nations Office on Drugs and Crime (UNODC), prior to which he was Chief of UNODC’s Global Programme against Money Laundering. Dr Lemay joined the UN in 1995 following a career as a lawyer in Canada in private practice. He presently is based in Vienna and is a consultant and independent legal advisor. Dr Verbist is an attorney at the Ghent and Brussels Bar in Belgium with Everest Attorneys. He is an accredited mediator in civil and commercial matters by the Federal Mediation Commission in Belgium. He worked as counsel at the Secretariat of the International Court of Arbitration of the International Chamber of Commerce (ICC) in Paris (1988-1996). He has taught, as visitor professor, the course on international commercial arbitration at the University of Ghent (1996-2013). Since 2016, he is president of the arbitrators of the Belgian Court of Arbitration for Sport. For many years he attended the sessions of UNCITRAL Working Group II. Dr Verbist presently is a member of the Belgian delegation for UNCITRAL Working Group III. Dr Yotova is Fellow and Director of Studies in Law at Gonville and Caius College, and an Affiliated Lecturer with the Faculty of Law at the University of Cambridge. She also is a fellow at the Lauterpacht Centre for International Law, a member of the Centre for European Legal Studies, the Cambridge Centre for Law, Medicine and Life Sciences, and a Visiting Professor at McGill University. She practices as an Academic Door Tenant at Thomas More Chambers where she advises on matters of international law and investment arbitration.